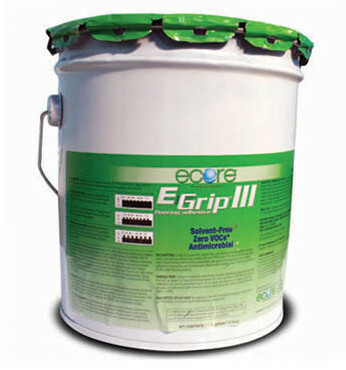 E-Grip III is a revolutionary zero-VOC adhesive. The new low odor, one-component urethane adhesive is formulated specifically for use with ECORE’s family of surfacing products. E-Grip III features escellent trowelability and improved tack properties, so it’s easy to apply and keeps seams flat and secure. It’s moisture-cured, no-mix, non-sag, and permanently elastic formula provides excellent adhesion to elastomers, concrete, and wood in both indoor and outdoor application. 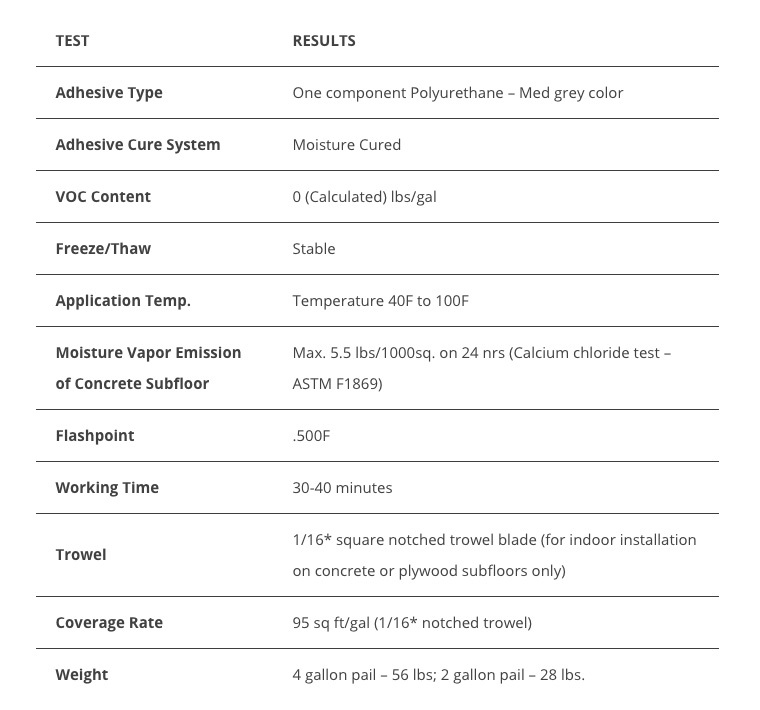 E-Grip III flooring adhesive also meets the Collaborative for High Performance School (CHPS) criteria (Section 01350) for indoor air quality in classrooms as described in the State of Califonia’s Department of Health Services Standard Practice. The emission test followed the california Department of Services “Standard Practice for the Testing of Vilatile Organic Emission from Various Sources Using Small-Scale Environmental Chambers”, commonly referred to as the CA Section 01350 protocol. Becaue of its zero-VOC content, E-Grip III adhesive meets all the requirements of Indoor Environmental Air Quality for low-emitting materials and can potencially contribule 1 point toward LEED (Leadership in Energy and Environmental Design) certification for building projects. Weight 4 gallon pail – 56 lbs; 2 gallon pail – 28 lbs.